Bringing sound to life! 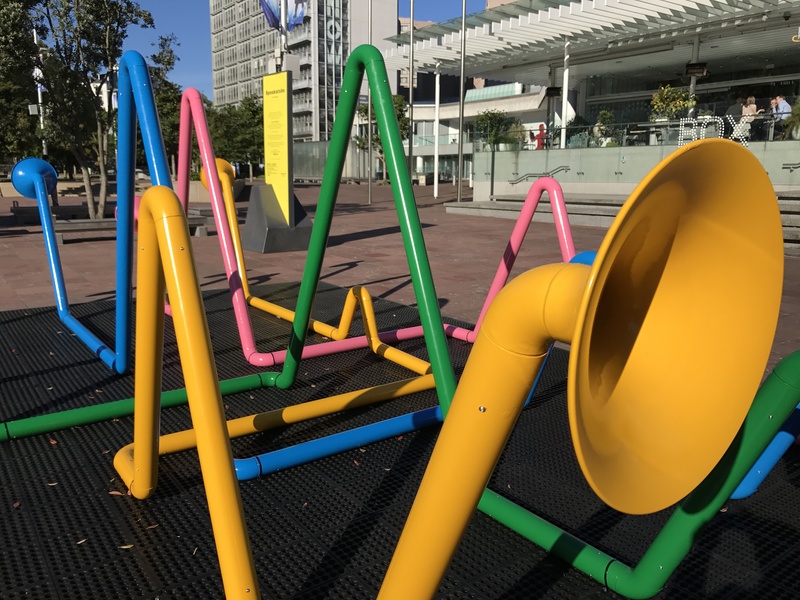 Share a secret, make some noise and have fun with kōrero (conversation) with this quirky interactive sound sculpture for kids and adults. Made up of four brightly coloured tubes with trumpet shaped ends, Speakatube is irresistible, encouraging talking, interaction and having fun in public. Designed to look like sound waves when viewed from the side, the over-sized tangle of brightly coloured tubes beckons passer-by to speak into them and listen to the crazy kaleidoscope of voices, stories and sounds emanating from within. Head down to Te Manawa (Corner of Hinemoa and Tutanekai Streets) from 27 September until 17 October 2018 and have fun sending messages down the 10 metre tubes. Originally commissioned by Auckland Live and installed in Aotea Square (Auckland) in October 2017. Speakatube was designed by Wellington company Storybox to bring a sense of fun to public spaces.